Our Winter 2015 byDESIGN Newsletter is here! Click here to download the PDF version. This year, Canin Associates turned 35. To mark this milestone, we are looking back at what we have learned throughout the years and looking forward at what the next decades will hold. In this edition of byDESIGN, you’ll see that some things stay the same: Crafting sustainable, master-planned communities in Florida and internationally is still our focus. 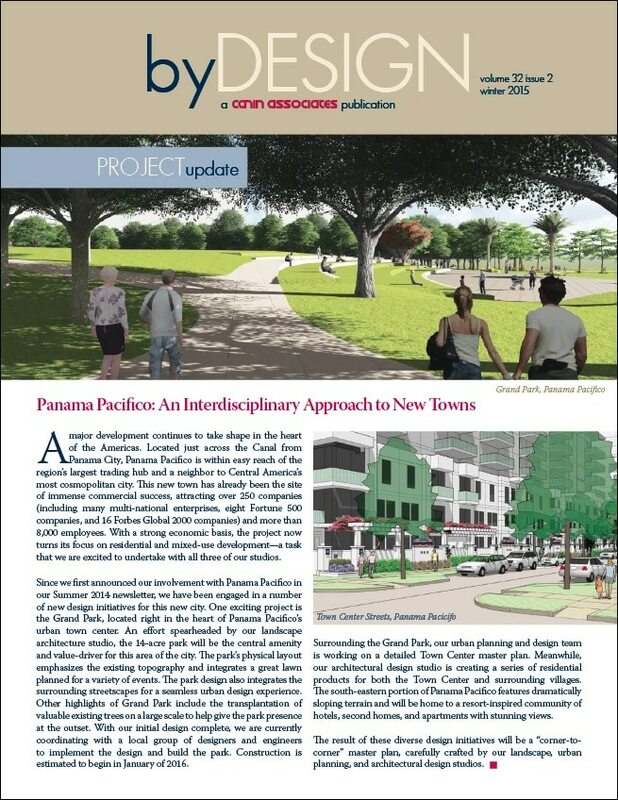 All three studios at Canin Associates are hard at work creating a detailed plan for the new community of Panama Pacifico. Inspired by Hill Country character, our landscape architecture studio is working on an amenity complex in Austin, Texas. Manatee County, Florida, recently approved our development plan for the 1,300-acre community of Lake Flores. With lots of exciting opportunities in the coming year, all of us at Canin Associates wish you happy holidays and a successful 2016!